You add a Chapter Menu by clicking this icon. Click on the word "Chapters" in the Chapter Menu. You can change the title of the Chapter Menu to anything, say "Skip to a Section" or simply delete the text entirely to show a Chapter Menu Icon. Add Chapter annotations by clicking this icon. Type out a short descriptive name for the Chapter. This will be shown to the viewer in the Chapter menu. 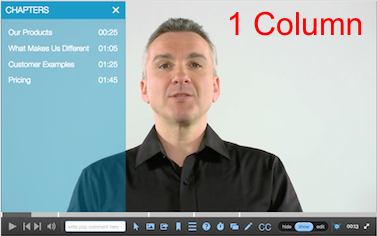 Continue playing the video and add a Chapter at each major topic or section of the video. A good rule of thumb is one Chapter every 90 seconds or so. 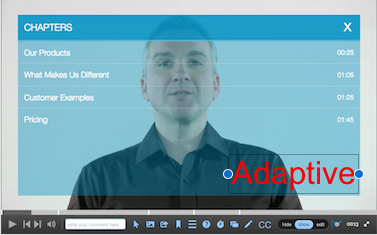 As you add and adjust Chapters your Chapter Menu will be updated automatically. Click Edit on the Chapter Menu. Start Time is the point in the video at which the Chapter Menu will first appear. Duration (the clock icon) is the total time the chapter menu will stay expanded when the viewer expands it. The default is 10s. Click More. Initial State will set if you want the Chapter Menu to start expanded to collapsed when it first appears. Position sets the place the Chapter Menu is when it is collapsed. Most users select the default top left or top right. Add Class and Display Rule are advanced options which are detailed here. There are two Styles. 1 Column (the default), and Adaptive. 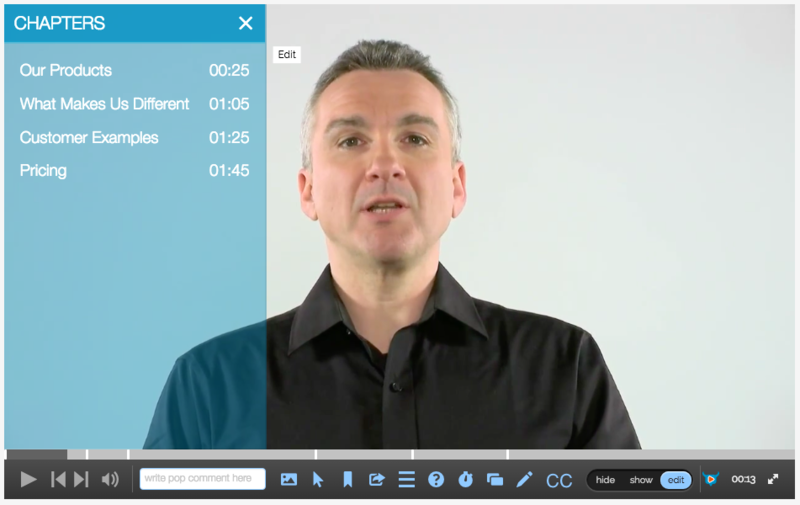 HapYak has a few advanced capabilities to let you quickly and easily add chapters to dozens, hundreds or thousands of videos. Check out Auto Chapters for Brightcove for an example.